Here at BloodLetterPress, we’re all about supporting other designers and creatives like us in their kickass projects. One of the ways we do that is by interviewing these creators in the hopes that readers gain a deeper understanding of the ideas and the feelings that forged their work. But it’s also 2018, and we know that ain’t nobody got time to read a 3k word in-depth interview. So here’s our solution; if someone can do an “elevator pitch” of a product, it’s also possible to do a carefully-curated interview in a similar time restriction; in this case, you can read this interview in the same amount of time it takes to get from the ground floor to the top floor of the Burj Khalifa in Dubai in their super-fast elevator. Our subject is Sean Billson of Timeless Caverns production studio. 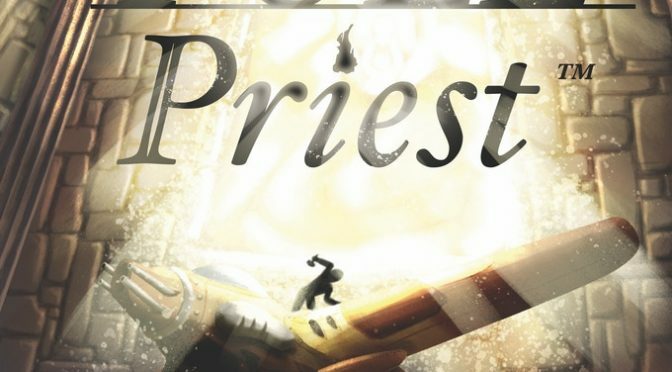 They are the lead designer for Fuel Priest, a game that was just successfully funded on Kickstarter! We gave them five hard-hitting questions about their game to inspire and excite new fans, and to spotlight more local creators in our community.